Here is the market report courtesy of The Leonard Real Estate Group. The inventory levels continue to climb. 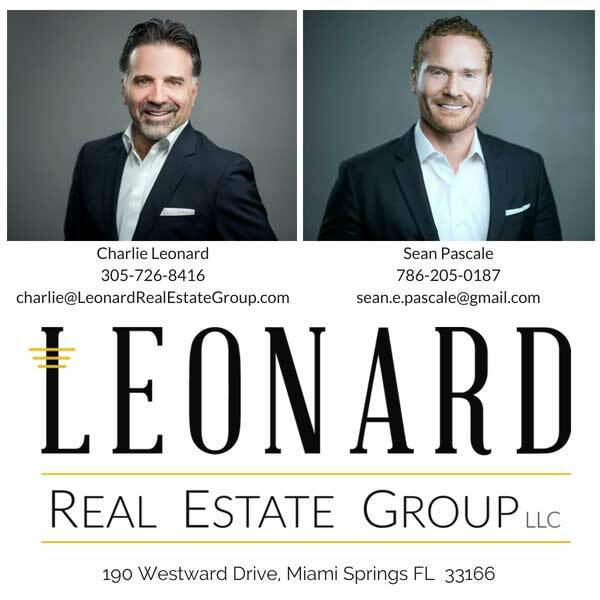 Our report from a month ago (10/15/18) showed only 39 active listings. This week the active listings are up to 49, That is an increase of over 20%. The shift toward a buyers market is beginning to really take shape while at the same time the existing home sales suffered the largest annual drop in 4 years! During the period of November 16th, through November 23rd, 2018 there were 3 new listings, 6 closed sales, 0 pending sales, 0 expired listings. 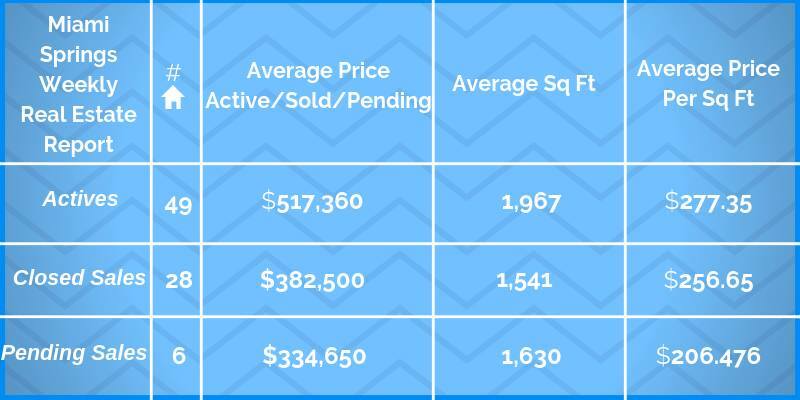 The table below shows the current status of the Miami Springs/VG real estate market as of Friday, November 23rd, 2018. All closed sales are within last 90 days. Reach out anytime you’d like to discuss pricing, the market, or any other matters related to real estate. And as always, if you are ready to buy, sell, rent, or invest, we are ready to earn your business.